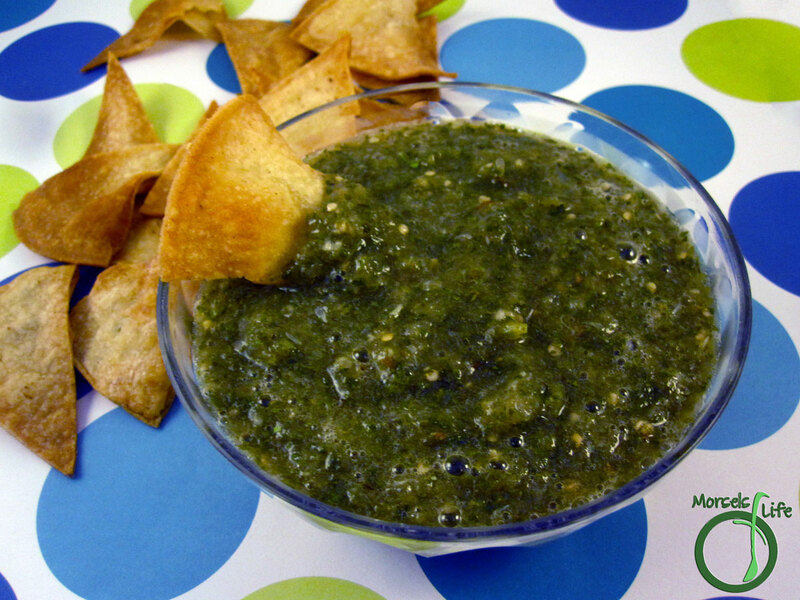 Green salsa, or salsa verde, has always had a certain appeal to me. I'm not sure if it was originally the whole green thing and being different than your more typical red salsas. Then I got hooked on the taste. Since you're using tomatillos instead of the usual red tomatoes, you get a bit of the tart/tangy flavor as well. One other thing I noticed about tomatillo salsa verde - it's got fewer ingredients than most red salsas and it's usually served in a more "sauce-like" consistency. Now, as far as actually making the green salsa, you can cook the tomatillos just about any way you'd like. I opted for pan roasting because roasting brings all the flavors to the yard, and pan roasting instead of oven/broiler roasting since it's summer (or it was when I made this salsa! ), and I didn't feel like roasting in my own juices. Grilling is another option for some nice additional flavor. Of course, boiling/steaming are also viable options. We ate most of this salsa verde with scrambled eggs or chips. You could also use it as more of a sauce on tacos, burritos, quesadillas, taquitos, or make some green eggs and ham! 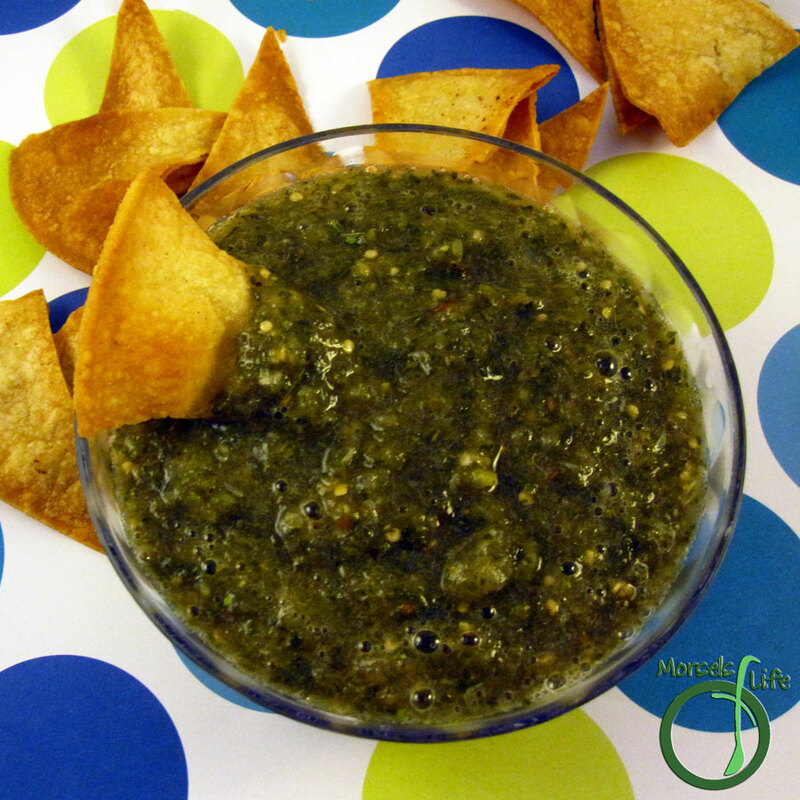 What's your favorite way to eat salsa verde? 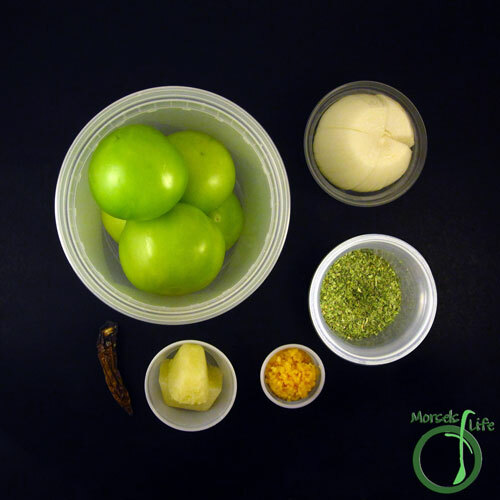 Bright and fresh, try this zesty tomatillo salsa verde on some enchiladas, burritos, or even simply tortilla chips! 1 serrano pepper I used a dried one. 2. 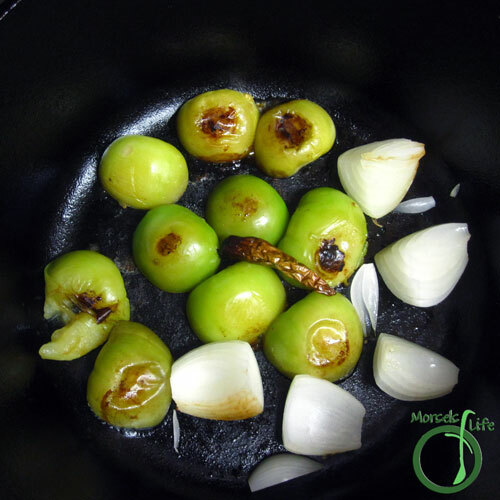 Pan roast tomatillos and onion by coating bottom of a skillet with a bit of oil. Sear one side of tomatillos, and then flip to brown other side. 3. 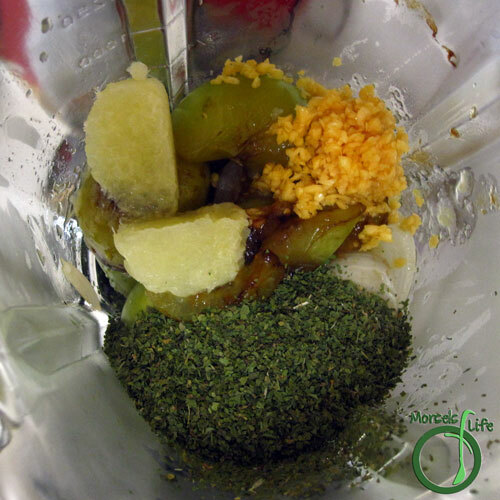 Place all materials into blender, and puree until desired consistency reached. 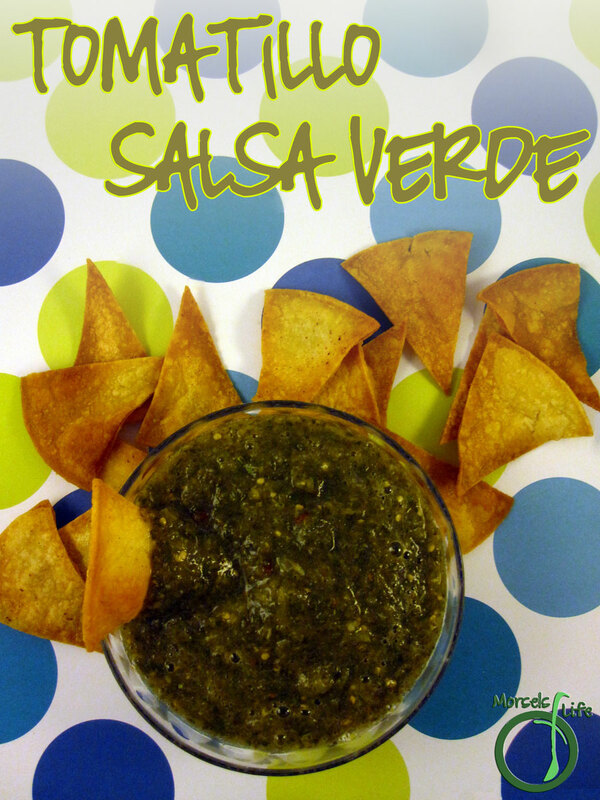 I'm a big fan of salsa verde too, this sounds so fresh and delicious! Thanks for joining us, wishing you and your family a very Happy New Year! We really enjoyed it too. :) Thanks for stopping by! I love making salsa. This sounds different enough from anything I have made to try it out. Thank you for sharing your wonderful post at #WonderfulWednesday. I look forward to what you will share next week! Do something special. Give yourself a standing ovation today! We hope you’ll come back again next Tuesday when we open our doors at 7:00 PM EST. I SO cant wait to try this out! Sounds so good! I tend to use my green salsa's in my white chicken chili but will love trying this out in the ways you have suggested! Thanks so much for sharing! Mmmmm - looks totally delicious!! Thanks for sharing on the What's for Dinner Link up! This salsa looks great. I've never made anything with tomatillos. Thanks for sharing on the Waste Less Wednesday Hop!